We don’t always know what to do with temptation and sin once we’re believers. Do we condemn it? Do we pretend it’s not there? Do we repeatedly repent – just in case? when you feel condemned for past sin. The next time you’re being tempted, remind yourself: “Everything is uncovered and laid bare before the eyes of him…” (Hebrews 4:13). He’ll see what you do next – nothing is hidden from God. So approach your Father boldly and ask for grace as you need it. Ask Him to be victorious through you. Find comfort knowing Jesus – whose Spirit indwells you – experienced all the temptation, but none of the sin. When you’ve fallen into sin, you can pray something like this: Jesus, I know You saw what I did. I am ashamed. Theologically, I know You dealt with my shame at the cross – Your sacrifice covers me with grace. So I ask that You align my feelings with my knowledge. I receive Your mercy. This is new covenant praying. Finally, when you feel condemned about what’s already been forgiven, remember that you are invited to “approach God’s throne of grace with confidence” (Hebrews 4:16). Satan thrills from bringing up our past failures. If he can make you question the authenticity of your faith – Who do I think I am, pretending to be a Christian? – then it’s a good day for our enemy. In that moment of condemnation, pray something like, I know You saw that, Jesus. I don’t need to hide from You. Thanks for erasing it once and for all. I rest in Your forgiveness. Ask Jesus to deal with Satan in your life. The Jesus narrative is the best narrative we have. It’s acceptance and invitation: You are accepted despite your sin and invited into His Life of strength by His Spirit. Lord, thank You that I am fully exposed and completely loved. In every circumstance, I now know I can turn to You. Remind me of this truth as we walk together through this broken world. Amen. 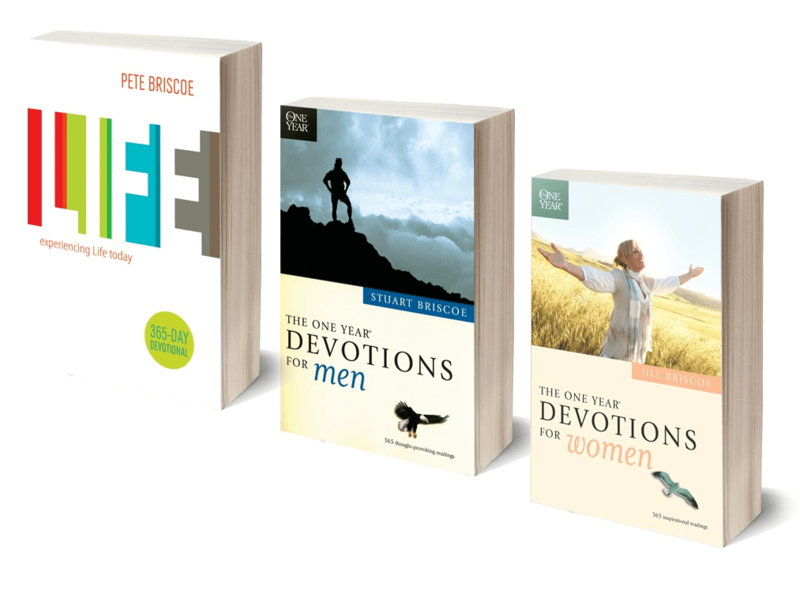 Pete, Stuart, and Jill want to move you beyond New Year’s resolutions and help you experience a spiritual revolution in 2016, by sending you one of their 365-day devotional books.